September is a great time for a fresh start and new experiences. 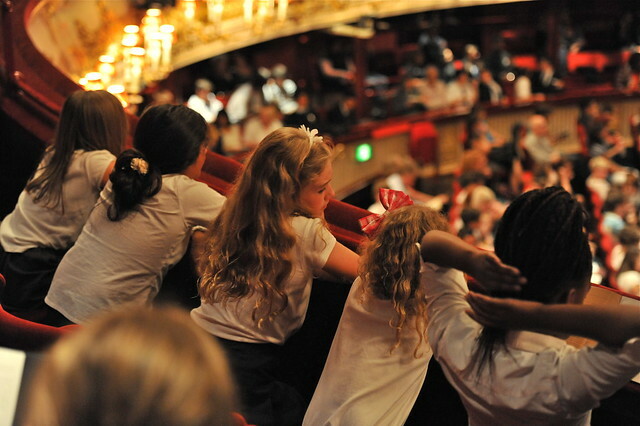 It’s back to school for most teachers, children and students in the UK; and it's also the beginning of our new season at the Royal Opera House. In this spirit we’re offering the chance for young newcomers to try opera and ballet at the Royal Opera House with the return of our popular Taylor Family Foundation Schools' Matinee performances. If you want to fill up your new academic calendar with something cultural (and fun) this school year, why not join us? Open to students aged eight to 18, these special performances include six great productions, perfect for young opera and ballet newcomers. Tickets prices are affordable too, due to the generous support of The Taylor Family Foundation, at just £7.50 for both teachers and students. You may also be able to subsidize the cost of your school’s travel by applying for a Travel Grant, also made possible by The Taylor Family Foundation. Booking opens in the autumn term for January performances, so make sure you sign up to our mailing list to receive details of when and how to book, as well as to find out more about spring performances. My name is Peter Skipper. I am the Leader of Teaching and Learning for Performing Arts. As we are expanding our Performing Arts Programme this year, I am looking at all experiences. I have heard some great things about your concerts and would love to have my children attend.